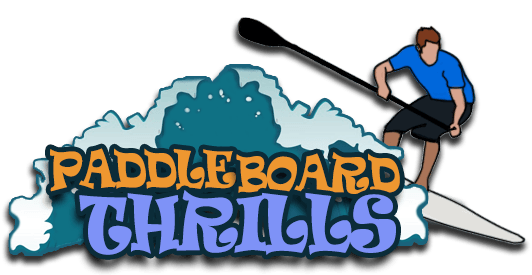 It is always nice to paddle with a nice paddle board that is strong, durable and lightweight. Well, theSolstice Bali Paddle Board provides just that. The Solstice Bali Stand-Up Paddleboard combines lightness and durability all in one package. 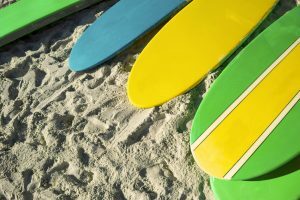 There are numerous paddle boards currently on the market and the Solstice Bali board is up there with the best. High-pressure inflatable paddleboard that is by all standards sleek, fast and most definitely lightweight. This paddle board has quite a rigid and strong feel. It features 4 stainless tie-downs to secure gears. To make it durable, the material it is made of consists of 1000 Dernier 3 ply PVC fabric that is fully reinforced. It also comes with accessories such as a gauge, carrying bag pack and a pump that is fitted with a measuring gauge. The material it is made of is very durable and once inflated can support just enough weight without buckling inside or overturning. It is pretty much an easy paddle board to maneuver and balance while on water. It is fast due to its simple but streamlined body design. Its lightweight makes it relatively easy to carry around when it is inflated. What many users have complained about is the inability to pump it to the required size. One will require a strong pump and to pump continuously until he or she reaches the desired pressure. 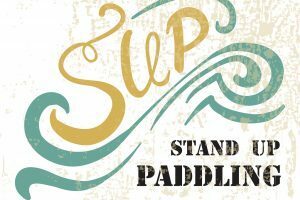 Solstice Bali Stand-Up Paddleboard is a great buy for anyone. It is lightweight, making it easier to carry around and deploy. The material it is made of (PVC) makes it strong and durable, thus making it able to withstand just enough weight. Also, its inflatable nature allows for easy storage. It is quite expensive especially for a new one, but you can go for a second hand model at a lower price. Well, this is a stand out paddle board that will not disappoint you. For more informed decision, we will compare this Solstice Bali Paddle Board with a few other paddle models available on the market. Therefore, for comparison purposes we will compare it to two other models. 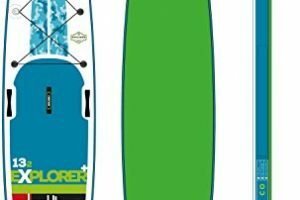 The Vilano Navigator 10′ iSUP and Zray PaddleBoard 9’9″paddleboard. The Vilano Navigator 10′ iSUP has remarkable features as well. 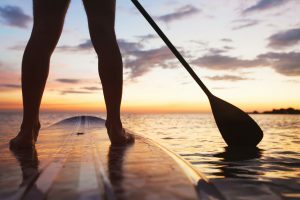 It is a paddle board that is built to last. It is made of high-grade PVC material with a Korean Drop-stitch construction. It is also very portable as one can inflate it before use and deflate it after use and store it. On its deck, it has a groove traction to offer maximum grip. It also has a bungee and stainless D Rings on the front deck surface for storage purposes. 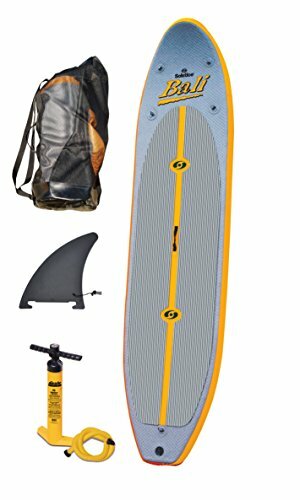 Upon buying this board, you will also be given a pump that is fully fitted with a gauge, backpack for carrying, removable fin and a paddle that is made of aluminum. To cushion you from repair costs, its manufacturer has placed a one year full warranty on it. It is available in two colors: orange and blue, but you will be sure to fork out lots of cash as it comes with a high price tag. The Zray Paddle Board 9’9″ paddle board is also another model present on the market. It is made of PVC material that makes it strong and rigid. To further add to the durability, this Zray Paddle Board is also made of military grade material that is further reinforced with a premium double layer covering that makes it almost indestructible. For safety and comfort when on board, the paddle is further reinforced with enough thickness of up to 6 inches. This allows for easy stability and prevents you from getting wet as a result of water finding its way inside the paddle board. Its design also makes it unsinkable since it is very well streamlined. 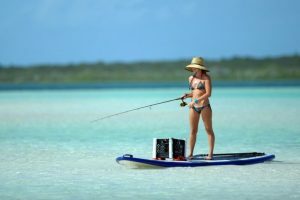 When buying it, you will also be given a couple of accessories such as an aluminum paddle, central fin, backpack and a pump that has a measuring gauge system. In terms of pricing, it comes with a high price tag. 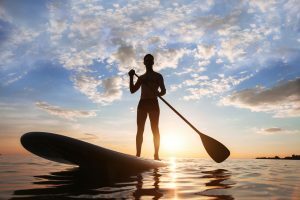 The Solstice Bali Paddle Board is a definitely the great buy. 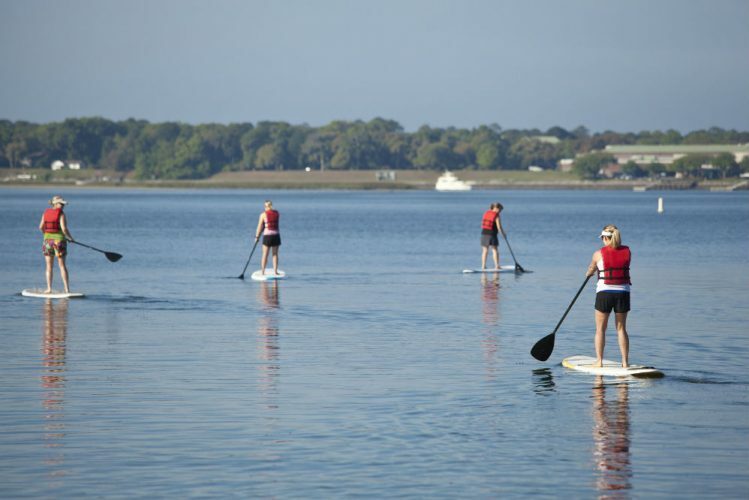 First, it is a fairly simple paddle board which is very easy to operate. It is also lightweight making it very fast and easy to navigate. For more comfort and security when using it, it is made of 1000 Denier 3 ply PVC reinforced fabric material that makes it very durable. The design for this paddle gives it the ability to move with a high speed during paddling. When it comes to matters of price, this Solstice Bali Board is cheaper compared to the other two paddle boards. 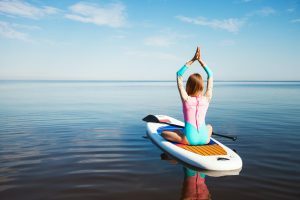 So if you want to buy something worthwhile, that you will definitely be proud of, then go for this Solstice Bali Paddle board. You will get the most value for your cash.